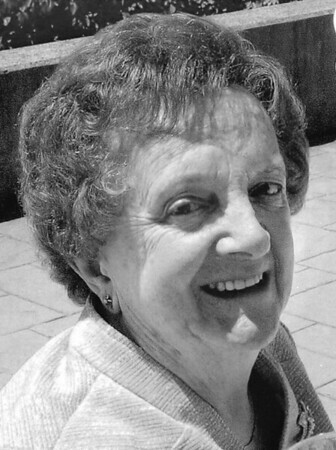 It is with great sadness to announce the passing of Gisela (Poglitsch) Toth, 96, on Friday, March 29, 2019. Gisela was born in Neumarkt, Austria, on March 24, 1923, where she lived on a farm with her family, survived the war and finally sailed to New York City in 1952. She settled in New Britain and lived with her brother, Louis and his family until she met and married her husband, John Toth. Gisela and John built their home in Plainville, where she continued to reside until moving to Bel-Air Manor in Newington, last October. She was employed at Stanley Works until she retired after many years of service. Gisela loved working in her yard and garden. She took a great deal of pride in keeping a well-manicured lawn. During the spring and summer months, you could always find her outside working in her yard until every last weed and dandelion were pulled. Gisela was predeceased by her husband, John, in 2002, as well as, her brothers, Louis, Albert, and Michael. Gisela will be missed by her nephews, Dennis Poglitsch and his wife, Geraldine, and James Poglitsch and his wife, Marcie Matuszak, both of New Britain; and her devoted niece, Elaine Jendrzejczyk and her husband, Leon of Vernon. Besides her family in Connecticut, including several nieces and nephews, she also leaves behind a sister in Graz, Austria, Angela Huber, as well as, several nieces and nephews, also residing in Austria. The funeral will be held on Friday, April 5, 2019, starting at 9:30 a.m. from Farrell Funeral Home, 110 Franklin Square, New Britain, followed by a Mass of Christian burial at 10:30 a.m. at St. Peter’s Church, 98 Franklin Square, New Britain. Burial will follow at St. Joseph’s Cemetery, Route 10, 151 Farmington Ave., Plainville, Conn. Memorial donations in Gisela’s memory may be made to the Divine Providence Parish, 195 South Main St., New Britain, CT 06051. To send a condolence to the family please visit, www.FarrellFuneralHome.com . Posted in New Britain Herald, on Tuesday, 2 April 2019 20:05. Updated: Tuesday, 2 April 2019 20:08.